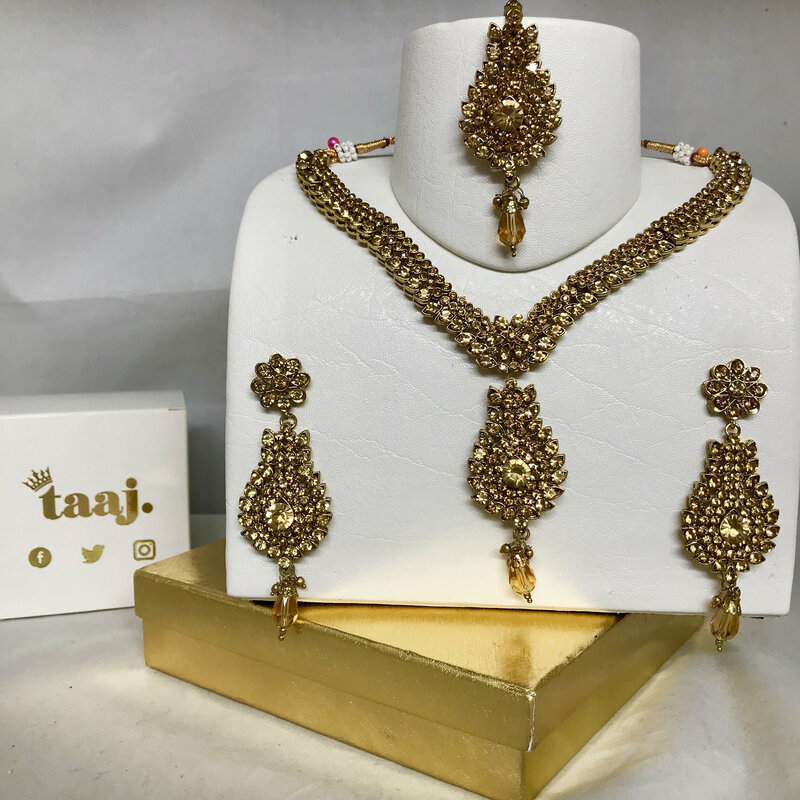 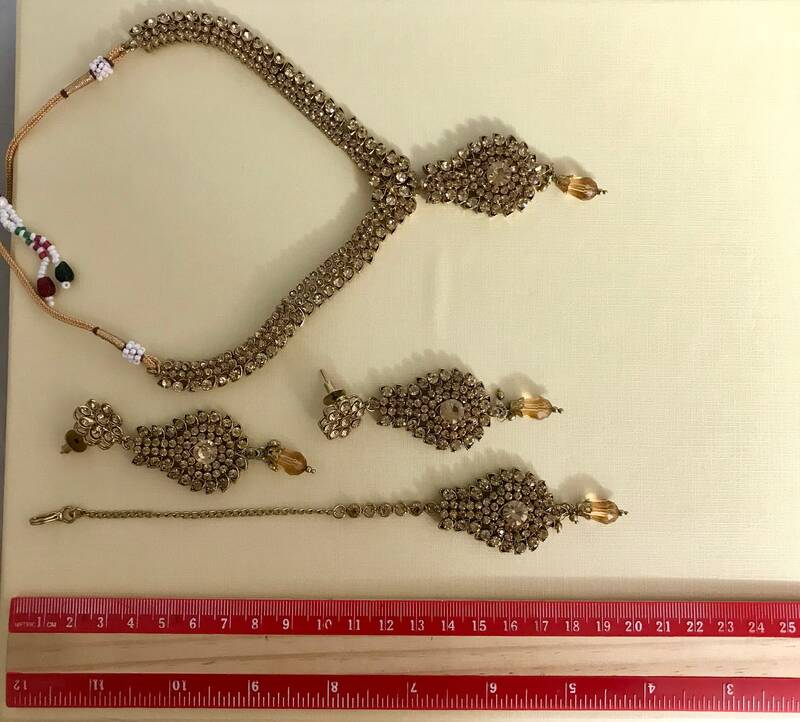 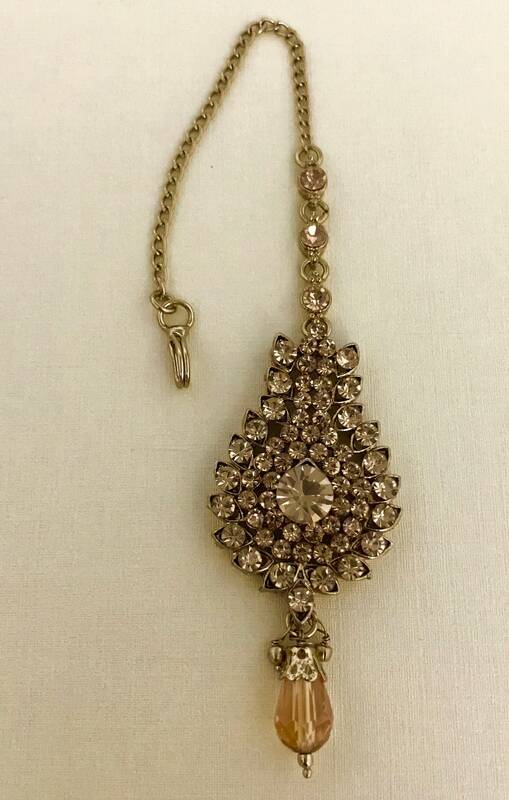 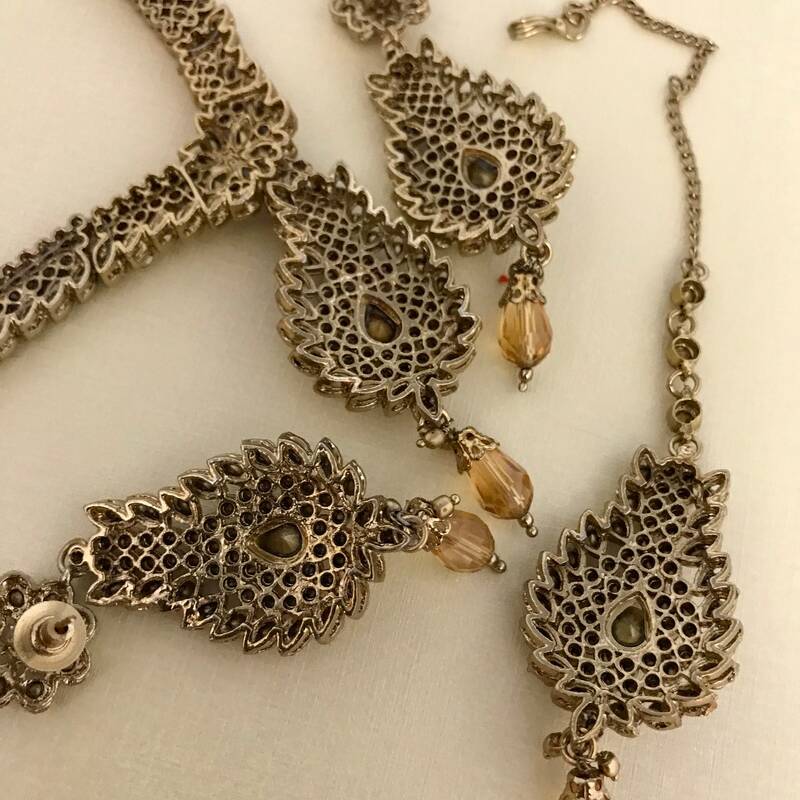 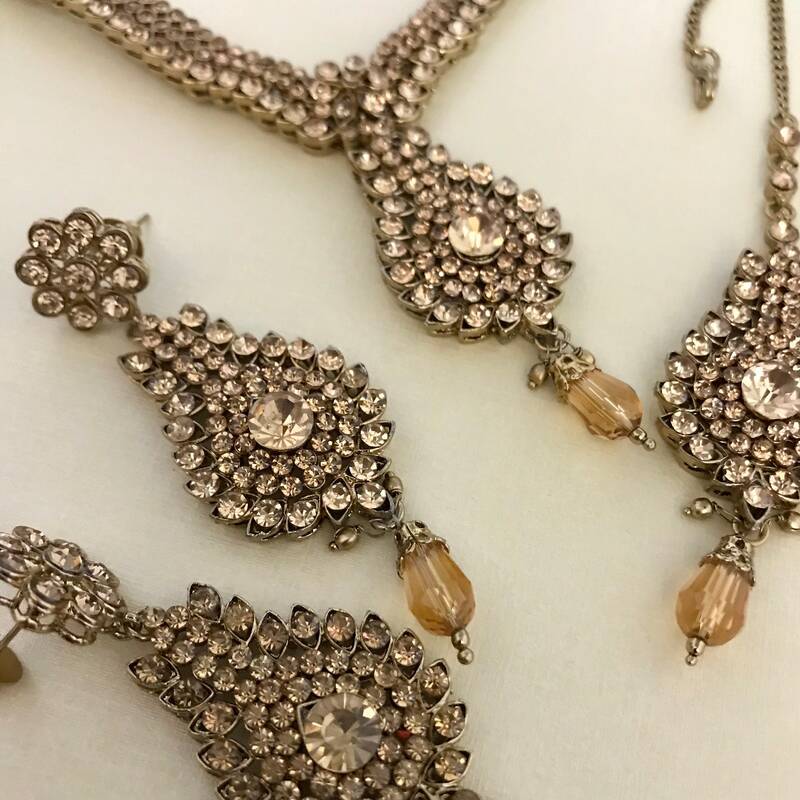 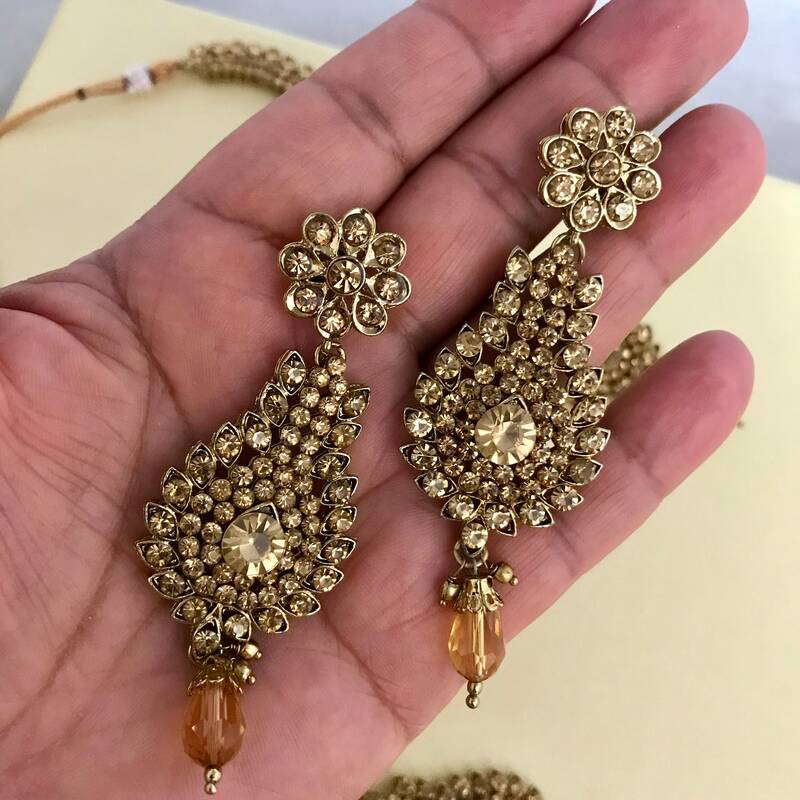 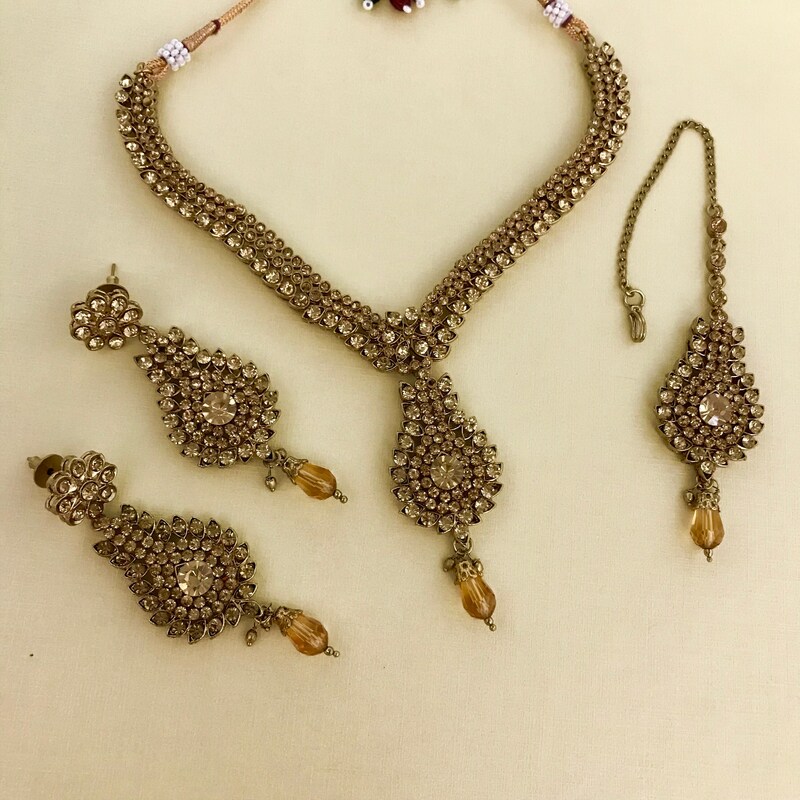 Antique Gold coloured necklace earrings and tikka encrusted in gold coloured diamanté stones and faux crystal droplets. 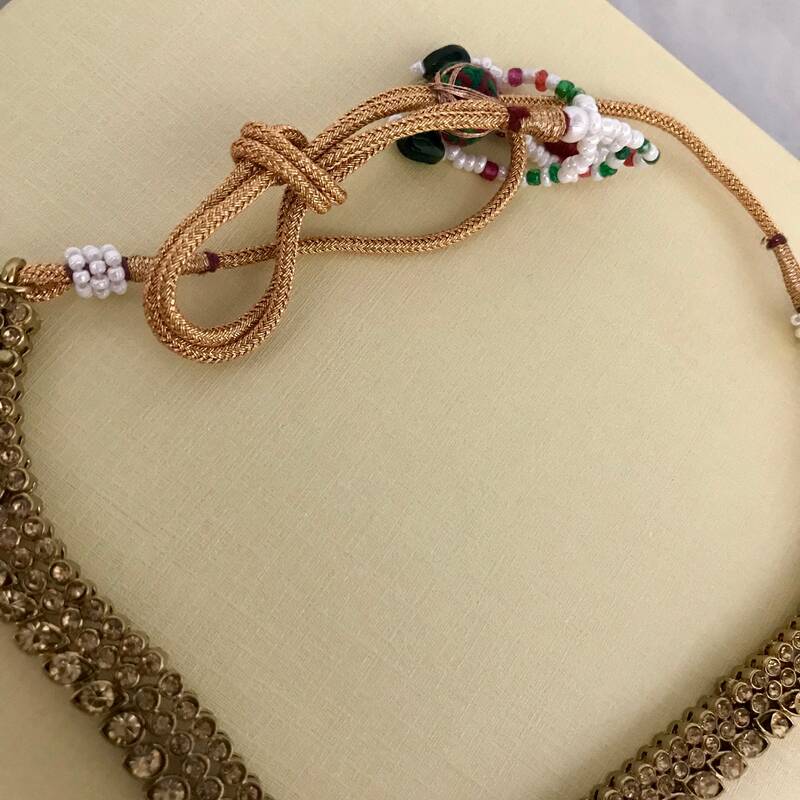 Necklace has an adjustable cord to fit around the neck. 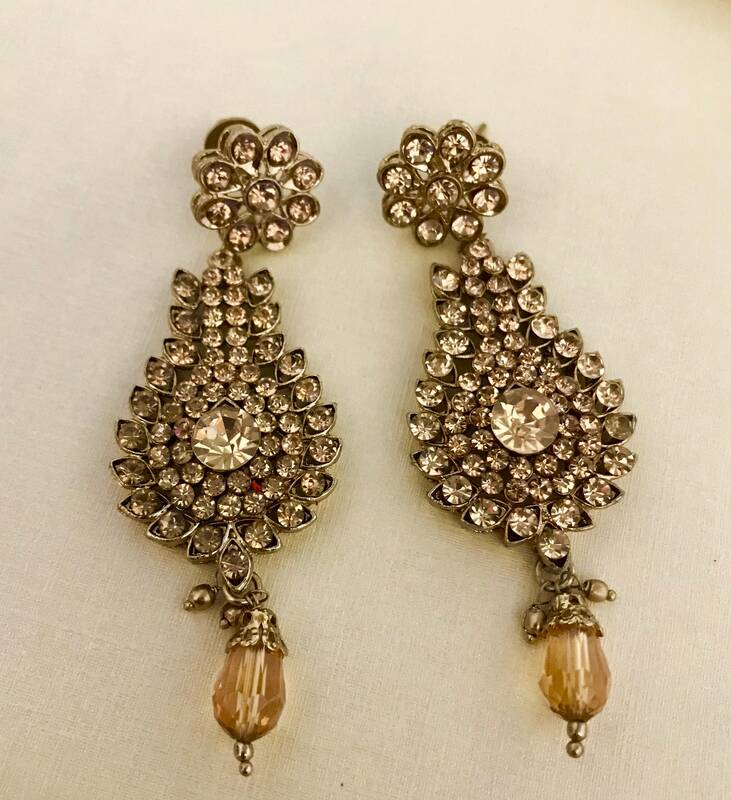 Earrings pierced ears only.